Joanna Cooney over the moon to be holding her Pass Certificate after passing her test today. A great drive with only 3 driver faults. 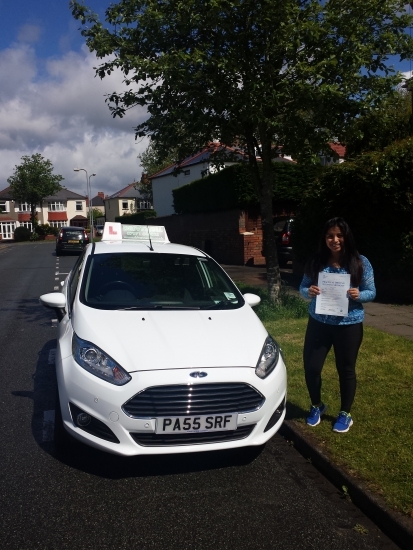 A super reward after listening and taking on board advice during lessons and juggling lessons with studying for A Levels to drive both confidently and safely even negotiating Gabalfa roundabout on her test. Congratulations and well done again. Hope to see you for Pass Plus. 19th May 2015.